Every weekday, you get the news you need to know to start your day. All nonpartisan. All in one place. All in 5 mins or less. Want more? 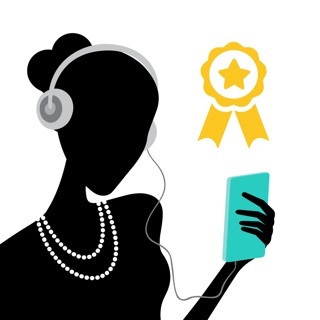 Our audio episodes break down important, relevant topics for you to listen to on the go in 10 minutes or less. That’s right. Our calendar syncs directly with yours -- Apple or Google, you choose -- to make sure you always know what’s coming up and can plan ahead. It’s constantly updating to make sure you never miss important events in politics, sports, entertainment, and more. Every Friday we recommend a new book that you won’t be able to put down and every day we recommend a new, 5 min Read to get into. Consider your downtime handled. And smarter. Every Friday we give you what to watch, listen to, download, and read over the weekend. In-app purchase subscription required. All monthly subscriptions begin with a free trial, after which a recurring charge of $2.99 per month. All yearly subscriptions are charged $29.99 at the time of purchase, with a recurring charge billed annually. We’re taking audio to the next level. Now you can listen to Skimm Notes while driving. With CarPlay. Start listening while you’re home and finish in the car, or vice versa. Volume up. This version includes crash fixes. When I first looked at this app I wasn’t into the subscription fee idea. But the more I used it the more I loved it. I barely have time to read the regular news so I get most of my information from Twitter which is... frankly awful. 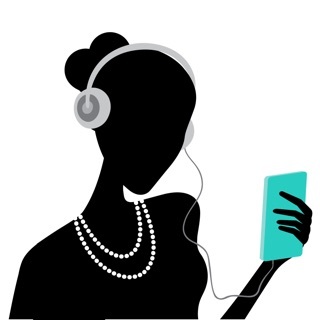 With Skimm I get a nonpartisan view on the matter, stating all sides that there could be to a story and even better, WHY it’s important with mini podcasts, interviews and more details when it counts. I can listen to the 10 minute podcasts in the treadmill, or just on my way to the grocery store. And there’s lots of sources from all across the internet. So I never have to wonder where the data comes from. Needless to say I fully embrace the subscription as, for me, it is worth the money to save the time to get the facts. With all the “fake news” floating around, I needed a source that I can trust but knew that just 1 place wouldn’t give me that, not if I want all the facts from everywhere. But Skimm does that! I love feeling informed and being in the loop of things. So, thank you Skimm, and you can bet that I’ll be around for a while and telling all of my friends to check you out. P.S. those mini podcasts really are awesome. They give you the history of a topic that may be really prevalent in the news right now but requires some previous knowledge. 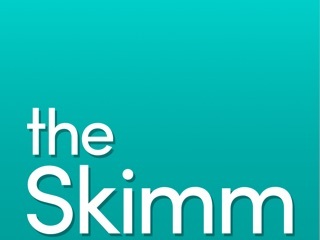 So if after reading the daily news you are left wondering what all the fuss is about, Skimm can fill you in. Why pay for what’s already free and readily available? I respect the idea behind this. One stop shop for news snippets and such. However, I must rate this low for one reason. A subscription fee. No matter how low, what reason should anyone pay for this? I’m not saying this because the content is poor, or it’s a bad app. I say this because all this information is already out there. The idea of short news podcasts has been done to death. No matter your politics, all the major news networks in the U.S., and beyond, already put out 10-15 minute news digests, FOR FREE. If this app had no subscription fee, it would likely be excellent. However, for some reason, the creators of this app feel they need to charge you for information already provided for free. Information that you most likely already know. Football fan? You knew when the games are. Political junkie? You keep up with all the political news already. I just don’t see the reason to pay money monthly to have spam alerts put in my calendar, get news digests, and really that’s it. I don’t see the need for anyone to pay for information already readily available. Skimm, your app seems great, and I’d love to use it. However, I don’t forsee a long future for this. If you switched to a free with ads model, I think there would be a greater future for y’all. But a subscription fee to get what’s so readily available from so many sources? What reason should I have to pay for already free information? Well worth it! My go to news! Hello, I just downloaded this app the other day and I have to say I’m really loving it. I’m a 27 year old stay at home mom and I can’t always have the news on or sit on my phone and read up on world affairs/daily news. This is one of the best apps I’ve ever come across. It covers everything and I love that it explains what certain things are like the (Nuclear deal) for example. That is my favorite part of the app. Since I tend to be out of the loop, I sometimes don’t know what things are about. I’m normally a Twitter user but this app goes far beyond because it takes the time to cover everything, stick with key points and explain what things are. I’m finding myself clicking on this app more so than Twitter now! I have no issues paying for this service whatsoever. Thank you to the creators of this app. I can tell a lot of love went into it and hard work on the daily. 5 stars from me!